Looking for a soon-to-be released family-friendly fantasy-themed Candyland-type game? I know that I have been looking for something for my preschooler and this looks like it might be perfect! LINK: Hirelings: The Ascent Game Review (prepublished version) » Father Geek. 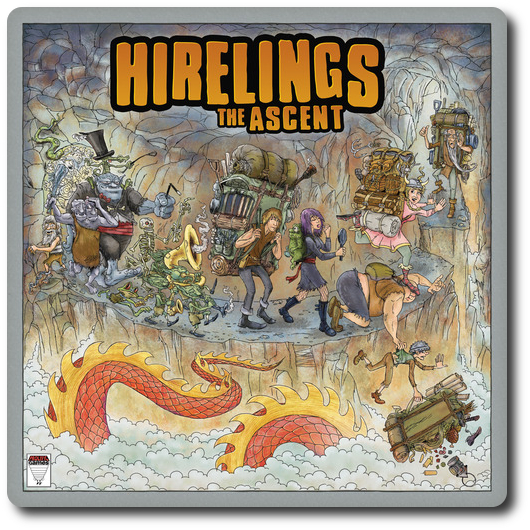 FatherGeek does a pre-release review on the Kickstarter game Hirelings: The Ascent. With the game being opened up to more people for beta testing I hope that there are some additional features that can be added to increase the scope of the game. While the game sounds great and the artwork is amazing, I hope that there are some optional rules that can be implemented to dial up the length, difficulty and sophistication of the game as my children age. Creating a Super Hero Every Day – Inspired Yet?